I spent all day Wednesday and Thursday at the 4th Annual International Cold Climate Wine Competition on the campus of the University of Minnesota and the event with off with much success. A panel of 21 judges were brought in to survey the latest offerings of winemakers who specifically use French/American hybrid grapes (Those that can withstand the cold winters). The attention that the organizers put into making sure this was a truly blind tasting was fantastic. 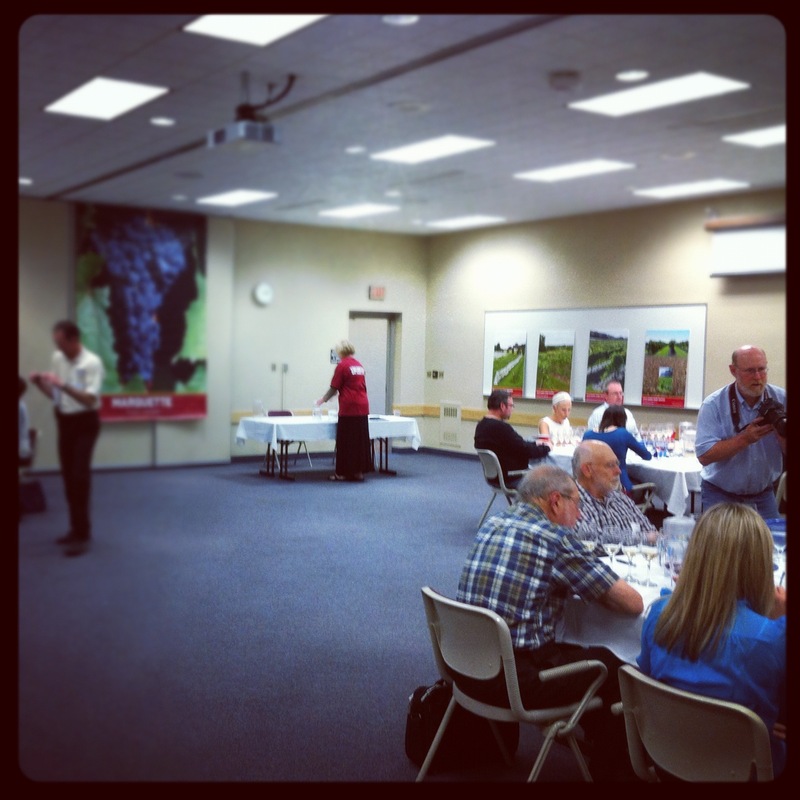 Each judging team was lead by an enologist and then was balanced out by sommeliers, wine consultants, and chefs. 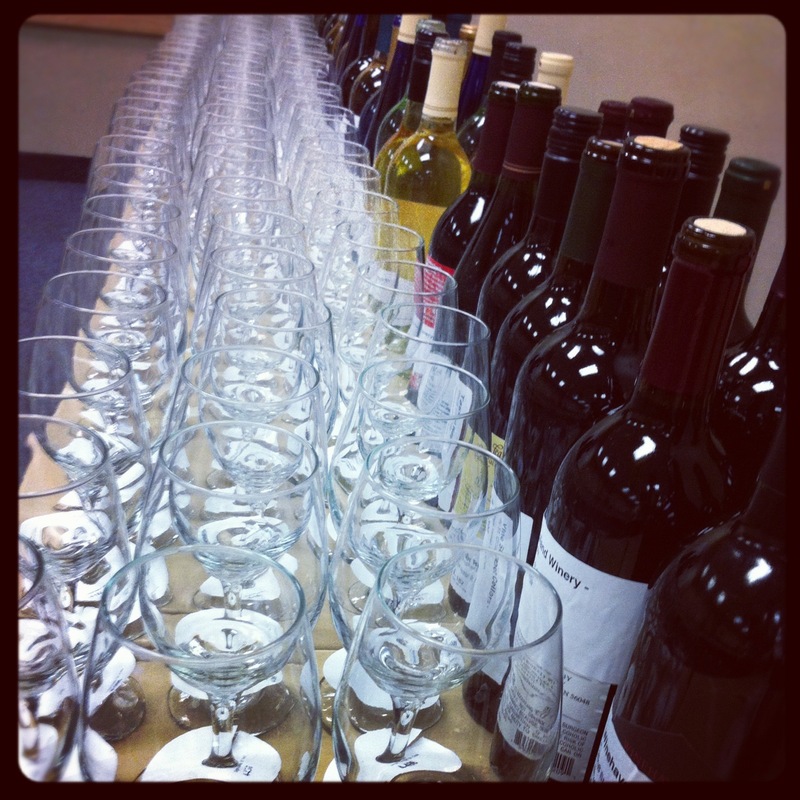 The flights were organized wonderfully and the back room used for prep was…well, a fun chaos made heady by wine aromas. Out of 325 wines entered into the competition, there were 2 Double Gold, 20 Gold, 61 Silver, and 79 Bronze medal award winners. It should be noted of course that the judges did not have to award any medals at all. I was surprised to see some medals coming out of the Frontenac Gris varietal since it is pretty new, but perhaps that points to a rosy future for the grape. Minnesota was certainly well represented, but entries came in from Nebraska, Iowa, Wisconsin, Illinois, South Dakota, New York, Vermont and Quebec as well. The overall “Best of Show” was certainly a landslide victory, taking the top White Wine category as well. In addition to taking a number of medals, the Four Daughters Vineyard and Winery took all the glory with their La Crescent. This win points to a lot of hope for the future of Minnesota wine since I don’t think the winery has even been open for an entire year yet. Much promise is ahead. The best Red Wine went to Shelburne Vineyard from Vermont for their Marquette Reserve (I told you it was going to be a good red!). The best speciality wine was taken by Danzinger Vineyards’ Midnight Voyage red dessert wine from Alma, Wisconsin. If you ever get out to Alma, check out Nelson’s creamery as well for some ice cream, cheese and cured meats. They also probably have the best wine selection of middle-of-nowhere Wisconsin as well. Rest assured, the non-medal winners did not go home empty handed. All of the judges comments are sent back to the winemakers, which for some, was the sole purpose of entering this competition. It will be this competition that helps define what each cold hardy varietal should be, so the wine drinking masses in the cold regions should have a listen.